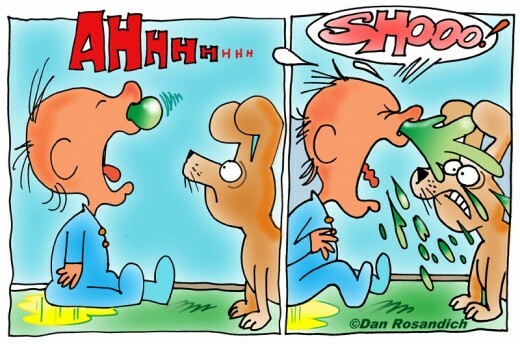 I woke up this morning still feeling dreadful with a blocked nose and a sore face from blocked sinuses. I got up feeling very sorry for myself and had a Beechams Flu Plus Hot Berry drink. Amazingly, this worked and within an hour I was feeling much better and even had a little bit of energy to go for a short walk with the dog before lunch. Although I didn't fancy anything to eat at lunch time I forced down a Ham and Tomato Sandwich washed down with another Beechams drink. By the time this took effect Formula One was on the television so I slunk off into the other room to do the ironing and then decided to risk a run - it would kill or cure me! When I appeared dressed for action I got scowled at for running whilst feeling crap. If I am well enough to do everyone's ironing I am well enough to run! The training plan today was for a 4 mile run @ a 9 minute mile pace. Although it was a dull day it was deceptively hot and very very windy! I decided to wear my inov8's and give my blisters a rest from the Hoka's tonight! My splits were 8:22. 8:47, 9:05, 9:12 which works out as an average pace of 8:49 minute mile pace! Considering how under the weather I have been feeling during the last few days I was quite chuffed with the outcome of this run! You can view my run here. Running: 22.59 miles in 3 runs. Bring on week 11 - I am ready for you! Triple Combo and a coach (of sorts)! According to my marathon training plan today's run was a 2 hours and 15 minutes Easy Run! NOTHING was ever going to be easy about today's run! BUT I told myself that I am strong and that as I hadn't run since Tuesday my legs would be fresh to go! 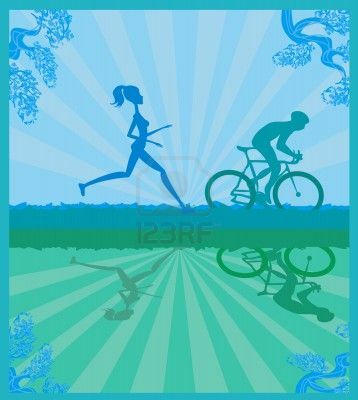 My husband has an all or nothing mentality when it comes to exercise! He sits on the sofa watching footie and drinking beer for 90% of the year and then all of a sudden he gets an urge to get fitter and thinks killing himself with exercise for a few weeks will turn him into superman. We are in the exercise cycle at the moment as we are heading off on holiday in a few weeks and he's trying to turn into a beach god before then! His exercise of choice has been short runs on the treadmill up til now but he hasn't had the confidence or the will to run outside yet. Anyhow as I have already said today was a long run day for me so I suggested that he started running with me on my run then head home alone after a couple of miles. This idea wasn't welcomed but he came up with his own plan! Instead of slogging the streets with me on his tootsies he decided he was going to hop on his bike instead and accompany me for the full duration of my run in the role of pack mule, timekeeper, pedometer, coach and general moral support. I wasn't sure how this would pan out but not wanting to squash his enthusiasm I agreed to give it a go. So I came up with a running and bike friendly route and packed a bag for him to carry containing my drinks, energy gels and tissues along with a spare pair of trainers! I was starting off in my new Hoka's but I was unsure about whether or not they would be OK for the full duration so I took my old trainers just in case I needed to change mid run! The next question was who would wear the Garmin? Should he wear it as the pacer and keep at the correct pace for me to follow or should I wear it so I could be in control of the run pace! I decided as it was the first time running whilst he cycled that I would wear it in case it went horribly wrong and he ended up doing his own thing! We set off and right from the beginning I realised it was going to work better than I had expected. My running pace was a slow leisurely cycle pace for him so he was as happy as pig in muck! He won't cycle with me as I go too fast apparently! It was nice to run alongside someone as sometimes on long runs I end up feeling a bit lonely. On some of the narrow country roads he cycled ahead and shouted when a car was coming and it took the worry away from me of being flattened on a corner! 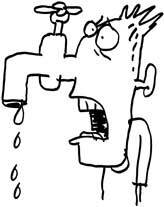 Initially he constantly asked "Do you want a drink?" "Do you want a gel yet?" and he started to get on my nerves so through gritted teeth I said "I will ask when I want one" and this put a stop to his overenthusiastic support!! The main advantage of having him there (as well as having on tap gels and drinks) was getting a constant supply of tissues passed to me for my constantly streaming nose, along with him cycling off ahead to press the pelican crossing button, so by the time I caught up the traffic was stopped and waiting for me! Towards the end of the run I did actually start to miss this minutes rest, and was starting to pray I'd see a red man! My Hoka's felt comfortable from the beginning, although they felt very different to run in. I even managed to wear them for the entire run! Unfortunately I didn't fly but perhaps I just need more practise in them! Maybe I was flying as David said my feet were so quiet he kept having to look behind him to make sure he hadn't lost me as he couldn't hear my pounding feet behind him! I really struggled for the last 3 miles as my nose was sore, my chest was tight and I developed a stitch but I kept my eye on the bike up ahead and kept on plodding! I was delighted to make it home after running 2:13:56 and covering 13.95 miles at an average pace of 9.34 minute miles. You can see my route here. It was only after getting home and showered that I noticed 3 blisters on my right foot that I hadn't felt whilst running! I hope this is just teething problems and not going to happen on every run! David actually appeared to enjoy this role he had created for himself which is great news for me because it means as my long training runs get longer I won't feel guilty for taking up so much of the weekend running and he will also get fitter in the process. Although that may pose a problem as he might start to want to cycle faster than I can run! I enjoyed the company for a change but I also enjoy the "getting away from it all" feeling I get when I run alone so I wouldn't want to employ this running strategy for all my runs! It might prove useful to get me to increase my pace on short runs - he could cycle ahead and I could try to keep up! 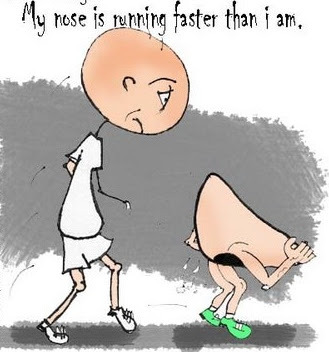 My nose is running faster than I am! Yesterday I couldn't decide whether I was suffering from Hay Fever or a common cold. 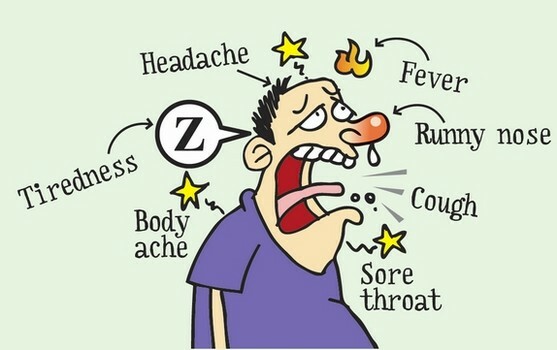 Today, after waking up feeling even worse the ultimate decision is .... its a cold! I woke up feeling like death warmed up! However, I decided to "man up" and went into work to spread my lurgy around for the weekend! Once the children were in class there was strong evidence to suggest I was most definitely suffering with a cold as there was enough snot around to sink a battleship! We all sneezed and coughed our way through the day and I was delighted once I was able to collapse on the sofa at home! By this time my limbs were aching and my eyes were heavy so there was no way on this planet was I going to go for a run! My poor Hoka's have been neglected yet again and replaced by WINE! 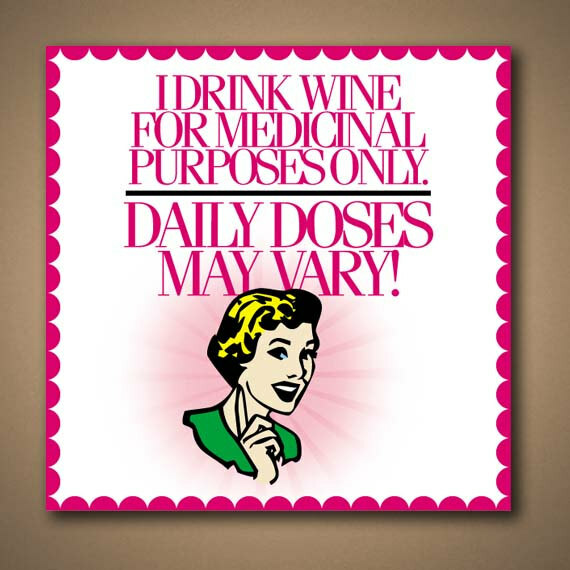 Purely for medicinal purposes may I add AND it's the weekend so it would be rude not to! Here's hoping my get up and go returns by tomorrow! I have felt lousy all day today which hasn't been helped by a very stressful work situation! I have had sore eyes, extremely dribbly nose, itchy throat and the sneezes and i have generally felt absolutely exhausted all day! I don't think the fact I hardly slept last night has helped the situation! I was wanting to go out for a run in my Hoka's tonight but when I first got home from work it was raining and there was no way I was going to get my babies wet and then by the time it had stopped I felt so ill and energy less that I couldn't even contemplate a run! I managed to summon enough energy to go to Pilate's and have a good stretch, and actually felt better for it! I have taken an anti-histamine just in case it is Hay Fever! I have no idea how I will know if it is a cold or not! I don't usually get Hay Fever but there is always the first time! Here's to a good nights sleep and waking up feeling better! A bit of retail therapy and Running Shoes Galore! After a bad morning at work I made the mistake of going into Pete Blands at lunchtime and ended up buying a pair of Hoka's! I have been researching running trainers on the internet for several days! My current shoe of choice for short runs are Inov8 Road X's and I am currently on my third pair! However, last year whilst training for my first full marathon I discovered that these are only good for me for distances up to a Half Marathon. Running in these further than this resulted in me having sore feet and painful calves. I invested in another pair of running shoes and I trained for and ran my first marathon in ASICS Lady Gel-Nimbus 14's. Although I have not had sore legs or any blisters from these shoes I have never felt truly "at one" with them like I do my Inov8's. I have had 2 pairs of these shoes and on both pairs the backs have broken down really easily. As I had had this problem with my first pair I made a point of putting the new ones on very carefully ensuring I didn't squash the back at all and the same thing happened. I am currently training for my second marathon and needed new running shoes. I have always resisted even considering Hoka's as I hate the look of them (Clown shoes come to mind!) and many people have put me off by calling them "cheats" shoes. However, after hours of research I decided they might just be the shoe for me. Apparantly they are good for people with foot injuries and one website said ... "This is a forefoot striker’s dream shoe". 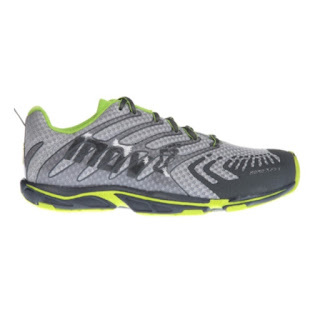 Inov8's are minimal shoes designed for forefoot strikers so I am hoping that the Hoka's might be my long distance dream shoe! After looking at and trying on at all the different styles of Hoka's I decided that I could possibly bear to wear the "Kailua Comp" ones as they look fairly "normal" and a lot less clown-like than the others! In the end there were two things that convinced me to buy Hoka's. The first being when I discovered that the name Hoka One One (pronounced Ho-kah Oh-nay Oh-nay), means “Time to Fly” in Māori! I definitely want to fly! The second was when I was told all the staff in Pete Bland's have been converted and all run in Hoka's and that the winner of the 2013 Windermere marathon wore them too! Maybe this was just a sales pitch and I'm being gullible but I will never know if I can fly if I don't give them a try! Unfortunately tonight is a circuit training night so I won't have the opportunity to give them a go, but I will keep you informed with how I get on! 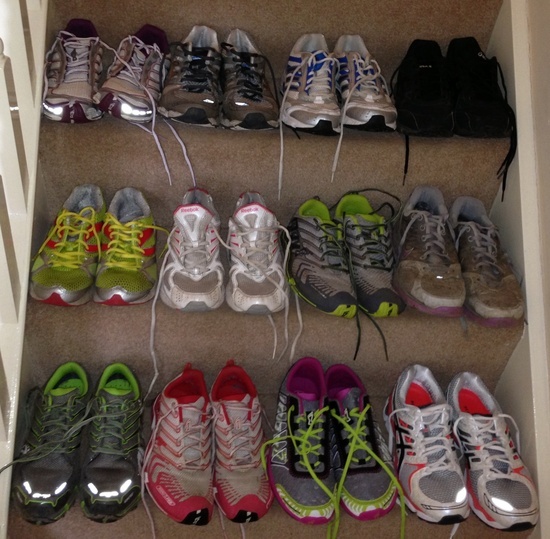 I will sneak them into my running shoe collection and hope my husband doesn't notice the addition! After a couple of days running rest tonight's prescribed run was for a 30 minutes easy run. It had been a hot and sunny day, so I set off out in my shorts and vest with a drink in hand ... and wearing my new socks! I have had sock issues since the weather has turned warmer. All my running socks are thick cushioned socks which are really hot now it is warm so I have been looking for a summer alternative. Unfortunately, a lot of the thin socks I have tried have been uncomfortable and tend to wrinkle up in my trainer. Someone recommended I tried "Defeet Cycling Socks" to run in so I did! After my first wear I am impressed ... so far! They are light and cool and actually stay put! It will be interesting to see how they cope with a longer run! I'm not sure whether it was due to the fact I had had a couple of days of not running or the "Speede" socks but I felt quite up for it tonight! I tried not to think about the pace I was keeping but instead concentrated on good form and enjoying the run. I was surprised and delighted when I got home and saw that I had kept a 8.46 average pace without trying! Perhaps the secret is to run with my Garmin hidden so I can't obsess about my pace! I ran 4.31 miles in just under 38 minutes, my route can be seen here. Circuit Training tomorrow night to work on my body strength! I seem to becoming quite an expert with the fastest finger as for the 5th week I got into the Tri Club Swimming Training Session! I am under no illusion that it is only because all the "expert" swimmers are out and about swimming in the Lakes and come the Winter and dark nights I will be shunted out again in favour of giving them a place! If this does happen I will be incredibly annoyed to have supported the group through the lean summer days whilst the others don't think twice about defecting! But Hey Ho I will enjoy it whilst it lasts and fingers crossed that I will continue to get a place even in the winter - we will have to wait and see. Anyhow, I really enjoyed the session and managed 1450 Metres made up of various swimming drills and different speed workouts! I'm really keen to book another triathlon but I'm just not sure whether I should wait until next year when I may be a more confident swimmer! In the meantime, it's back to running tomorrow! On Saturday morning when I got up I was dismayed that it was windy and rainy and I had a 40 minute easy run to fit in before I could go to Manchester for the weekend to see Robbie Williams and Olly Murs. I had promised my daughter who was at work that I would park the car in our car parking space in town sometime during the day so that she could drive home. She was going out and time was at a premium so getting the bus or walking wasn't a favourable option! Not wanting to put off for too long I decided to take the car for her and then run the long way home so I headed out in the hope the rain would ease off before I had to run in it! Unfortunately by the time I got in to town it was getting heavier! BUT the only way home was to run so off I went! After about a 15 minute torrential downpour I was glad when it subsided to just a light drizzle although by this time I was soaked through anyway! 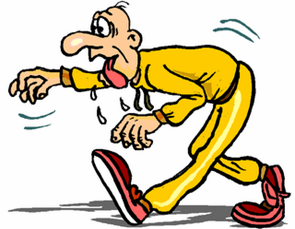 There is no happy medium - my runs during the past few weeks have been in very hot and sunny conditions and then without warning it changes! About 3 miles into my run I noticed a man running with a dog heading towards me, although it looked a vicious stocky dog similar to a Rottweiler I wasn't concerned as it was on a lead! BIG Mistake ... just as I ran past it snarled at me and dived for my foot. Luckily it's teeth just got my laces before the man yanked him away whilst apologising profusely! Although I wasn't hurt I was shocked by the suddenness of the attack! I will be very wary of dogs in the future! I managed to run 4.50 miles in 42:54 with an average pace of 9:24 minute miles. As soon as I got home I got showered and packed and we then set off to Manchester where the weather was no better! It didn't put a dampener on things though and the concert was very good! We were lucky that we were undercover in the stands rather than in the open on the pitch where everyone was getting drenched! So a weekend of too much food and drink to close week 9 of Marathon Training! Not the best way to fuel my body but good fun! Running: 24.38 miles in 4 runs. 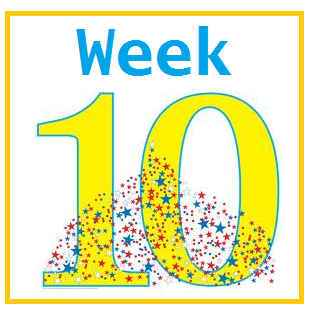 Bring on week 10 - I am ready for you!